We have a number of yearling bulls for sale, as well as a select amount of females. Please contact us for more information. The herd has just had its second Johne’s accreditation and is BVD accredited (2012). All stock are vaccinated for BVD, IBR and Lepto. The show team is isolated from the main herd and blood tested before mixing with any other cows. Bulls are fertility tested prior to sale for buyer’s convenience and the herd is in a TB 4-yearly parish. Passed herd TB test on 15 November 2012. We have the following bulls and females for sale in Stirling in October. By Cairnview Snazzy, he’s out of Williams Topaz’s Bathilda, a Heathbrow Tristar daughter. Fawkes carries a TPI of +105 and a SRI of +97 ranking him in the top 1% for the breed. He was a class winner at Suffolk Show this year and was placed junior bull, male champion and reserve overall at the Royal Welsh Show. By Clonagh Tiger Gallant, Felix is out of the Heathbrow Mischief daughter, Williams Tammy’s Connie. He was also shown this summer and was third place at the Royal Welsh and Royal Norfolk and was male champion at Lincoln Show. 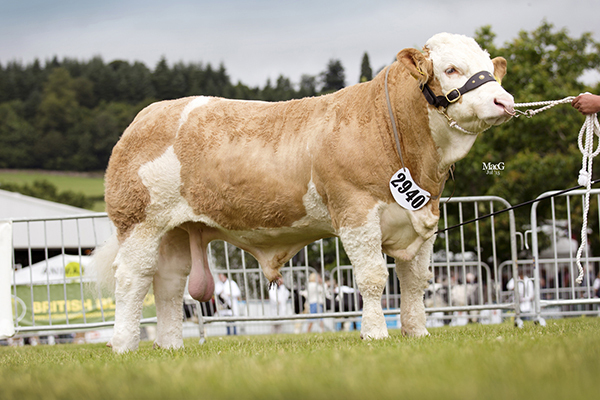 Again by Clonagh Tiger Gallant, a bull that is working really well in the herd and producing bulls with great natural muscling ability, Fudge is out of Williams Malvenas 3rd, a daughter of the noted senior stock sire and successful show bull Heathbrow Tristar. By Heahtbrow Tristar, she’s out of Hockenhull Girlie 47th, a Glenturk Rolex daughter. Girlie carries a calving ease figure of +3.6 and will be offered for sale having been PD’d to Clonagh Diehard Gallant. Again by Heathbrow Tristar, this one is out of the Sterling Flint daughter, Sterling Ritzy’s Vesta and will be offered for sale having been PD’d to Clonagh Diehard Gallant.